How to use Web 2.0 Indexer ? Just sign up for an account and login then go to home page and purchase a membership plan. We accept only PayPal payments. Upon completing your payment,you will instantly receive a number of credits for your purchase! One credit is equal to one URL. You can upgrade or downgrade from one membership to another at any time. All the methods used in our service are 100% Whitehat following Google guidelines. We only use techniques that Google not only recommends, but is urging webmasters to be used! It is in our interest to offer a safe quality service because we are also using our Indexer to index our backlinks. We have sites and we want to rank higher too. Typical quality links get indexed at around 9% naturally. That means 91% of the link building effort you’re putting in gets wasted. All that effort, all those links, time, and money, for nothing. An indexed link is worth more than an unindexed one. Indexed links will boost your rankings in Google much faster and safer than unindexed links. Why use Web 2.0 Indexer ? 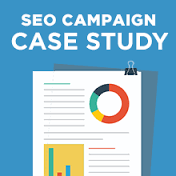 We have several years of experience in SEO world and we learned pretty much about indexing. We tested other indexing services and learned from their failures. Thats why we created our own system which we believe is more effective. As an SEO, you need to be smart and use whatever tools you can to improve the quality of backlinks. How to use this service properly ? A large number of links indexed in short time can be harmfull for your website. That's why we advise you to use the drip feed function when you submit large quantity of links . You can schedule your links for up to 30 days ahead. You should avoid indexing ultra-spammy links. There is no benefit to force Google to index a harmful link. How long do I have to wait to see my links indexed ? There will be a waiting period of up to 24 hours while we process your links. Please allow at least 48 hours before checking your indexing rate. A quality indexing process takes time this days, we are not an instant indexer service. The first results can be seen after 48 hours , while the final results can be seen after 15 days. If you want to stop and remove some of your links from indexing, you can do it within the first 24 hours from submission. The indexing rate dropped after 2-3 days. Is It Normal? It is not clear why the indexing rate is dropping , but this seems to be a general problem encountered with any other indexing method. The indexing rate will come back to the last highest value after 7-8 days. My link was not indexed what is the reason? Here are some reasons why the links are not indexed : duplicate content , too many external links, domains are flagged by Google , 404 HTTP errors , the crawling robots are blocked . If you're not seeing a high indexing rate , it's always due to the links themselves that are being added. Also , make sure you are checking indexing correctly. No. All of our plans are monthly subscription plans which can be canceled anytime. Each upgrade/downgrade of your plan is considered a separate paypal subscription. You can cancel your subscription by loging into paypal and going to Settings - Payments - Preapproved Payments . You can check out this video for more assistance. If I cancel my subscription will my links remain indexed? Yes , once Google indexes your backlinks we no longer have any control over them. It's up to them if they would keep your links in their index database or throw it out. Can i integrate your indexing service in my software ? We accept any third-party software integrations. If you are a software developer and you want to integrate our service in your software don't hesitate to contact us. We compiled the following FAQ's to help you find answers to your questions quickly and conveniently. Please contact us if you have any other questions. @web20indexer : As an affiliate you can add your affiliate ID to the end of any URL of our website. You can also add blog posts on our blog and share the referral links wherever you want. Getting your backlinks indexed is critical to the success of any link building campaign. The benefit of drip feed is that the whole process of indexing is done in a staggered manner. 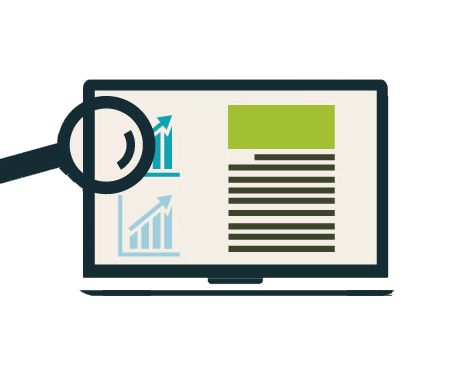 We are constantly performing research and analysis to improve our indexing service !